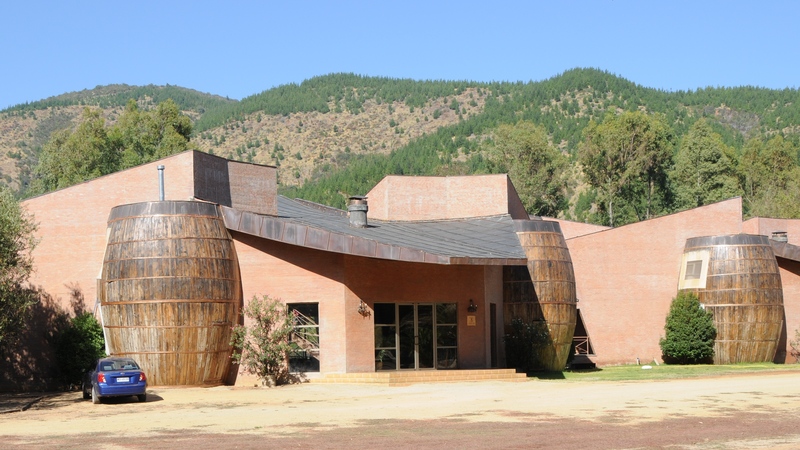 Daniela Gilmore speaks to me at the Gilmore Winery and Tabonkö Guest House in the Loncomilla Valley of Chile, a few hours drive south of Santiago city. The buildings scattered around this compound include lengths of welded iron and spacious angled walls reminiscent of pterodactyl wings. Ample light streams inside each structure through huge windows. The architecture is reminiscent of caves, a tribute to valley dwellers who staked out this region as their home thirty thousand years ago. The reason for this design? According to owner Francisco Gilmore, French winemaking communities such as Sancerre sell their wine by selling their history. Why shouldn’t the Loncomilla Valley do the same? The word Tabonkö derives from an ancient name for the region, combined with a local Indian word for water. The grounds that surround the winery and guest house include ancient machinery – presses, drill hoes, tillers – and a miniature golf course. Pumas rest inside a small zoo. 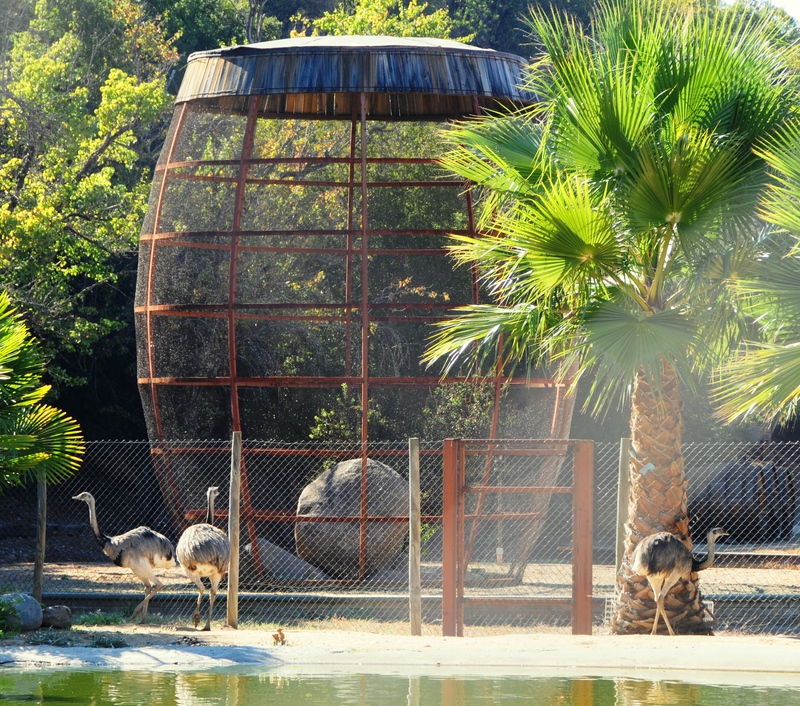 Emus mull about the earth near a barrel-shaped aviary that stands two stories tall, constructed from iron hoops, barrel staves, and wire mesh. We eat dinner inside one of these rooms with huge windows and an open plan. 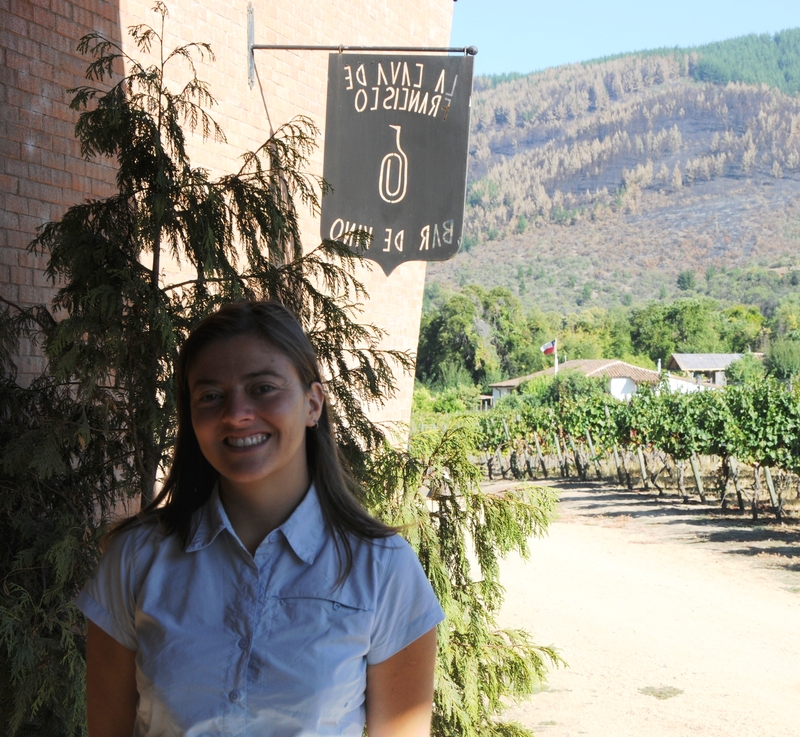 Daniela is the wife of Gilmore winemaker Andrés Sánchez and daughter of owner Francisco. 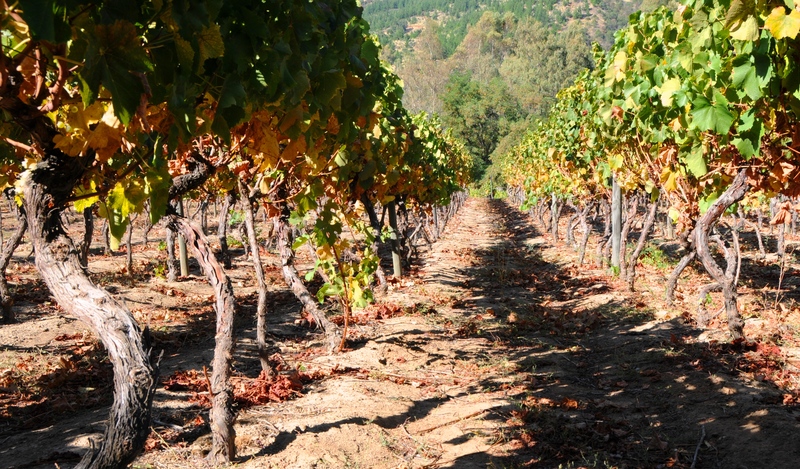 After she vents frustrations about the long hours she spent working for a big winery in the U.S., she describes the tribulations she faced when she wanted to make a new wine label for her reluctant father. 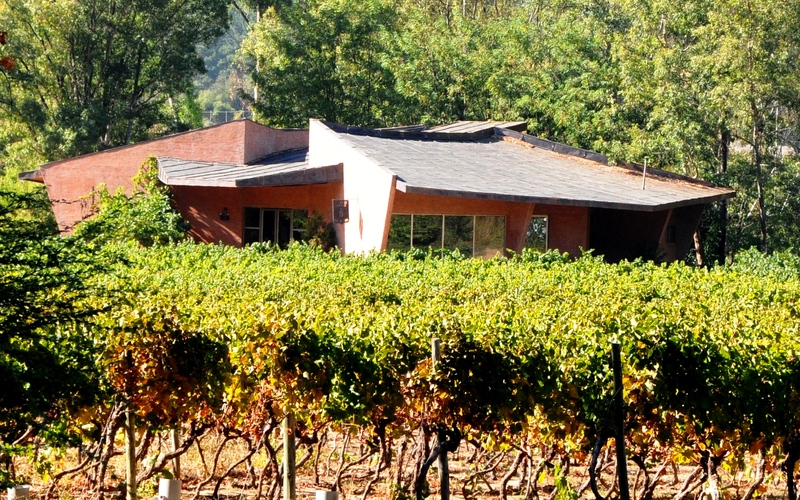 “When my father started the winery he made a label that means a lot for him. He was putting his name and the coat of arms of the family, all his passion into the label. We said to him that we were going to change the label. He said no, no, no. There is no way. So we went to my sister’s house in Santiago and I said ‘you know what Barbara? We are going to make a new label.’ Barbara said ‘ah, well, okay.’ We said we need to create the label that represents our father and all his passion and all his works and all his dreams and everything related to the wine. She started making a lot of drawings. The label reads Hacedor de Mundos (Creator of Worlds). At a long table during a warm evening, we eat a salad of cucumber, avocado, walnut and feta cheese and hear the glug-glug of Andrés pouring his three year old Hacedor Cabernet Franc into our glasses. We toast and talk. Soon, the main course arrives. This is a strong soup of shrimp – chupe de camarones. Andrés pours us a bold, unconventional choice of unfiltered Cabernet Sauvignon. 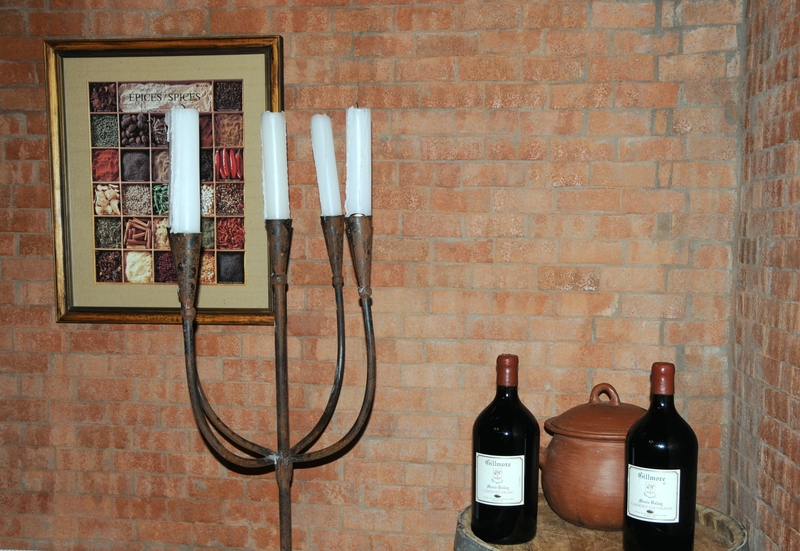 The distinct wine lights up our senses and I think – bien hecho Andrés. Well made. After more talk, we unwind and drink glasses of Cobre, a blend of Cabernet Sauvignon, Cabernet Franc, Merlot and Carignan. Together with this we tuck into a dessert of wine-soaked pears dribbled with chunky lines of chocolate sauce. Daniela then offers tea. She passes around a pitcher of hot water together with a bowl of fresh mint leaves that she picked that afternoon from their garden. Her husband Andrés tells us of the attraction of their rural setting. “We live together here. Our house is there in the corner. We use spring water so we can take showers. We have all the vegetables we eat today. We cultivate an organic yard and we eat organic. We try to find the balance. Probably more and more people will try to get this lifestyle, the natural way. With space, with an environment, with less real cost of food. Real food. 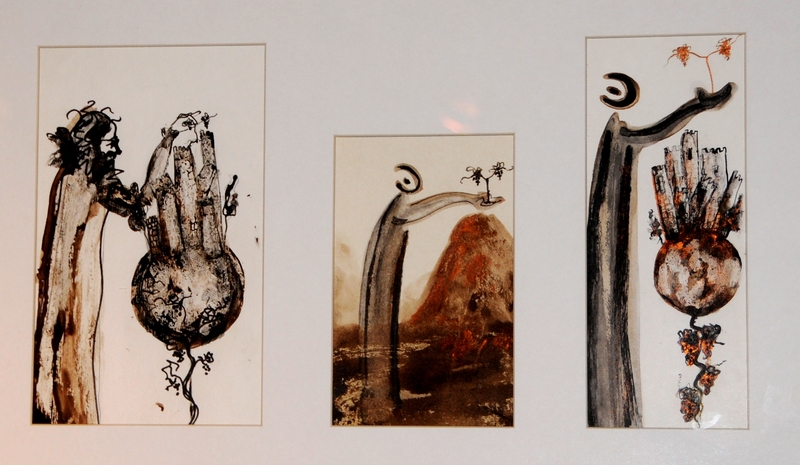 “The people who come to this guest house, in general, are people in the same movement. They are traveling and trying to live with experience. We have a neighbor from California. He was successful in Europe and he started looking to live an organic way. He visited and saw how we live. We found him a place of land behind the hill. He built his solar house, has a spring so he gets his own clear water for drinking, and he cultivates vegetables. He decided to produce organic olive oil. We walk outside to stretch, to enjoy the warm evening air, and to peek at the Southern Cross above. Perhaps Andrés is right when he says – I think that you will come back. Absolutely awesome Tom. I love reading your writing. Loved the article and pics of Tiffany & family. Tom this is wonderful. Just placed a link on my Facebook page. Keep up the good work!